Another Take Two challenge with my friends. I’m really late on this one. 🙁 When it rains, it pours! My oldest son who is 16 was out early this morning cycling. He had just finished 33 km and was almost home when a car hit his shoulder with the side mirror and knocked him down. A hit and run. He made it to the high school which was not too far away. Thankfully the teachers were there, still marking exams. They called the Police and then myself. I’ve spent the past 6 hours getting it straightened out and sitting with him in the ER. He is now covered with road rash and a lot of swelling but we are so thankful nothing was broken. His new bike helmet was cracked in the accident. We are so thankful he was wearing it. And so, I’m just now getting around to typing up this card design I made yesterday. 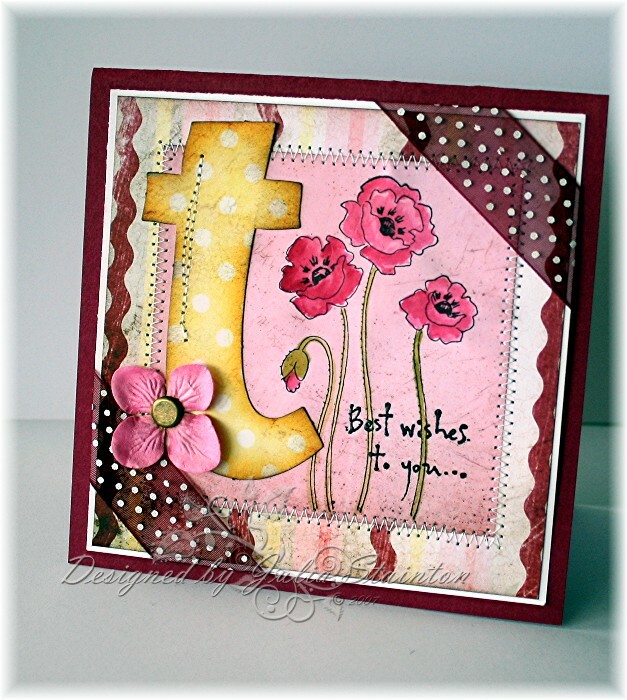 The Take Two challenge this time was to use Stampendous stamps with Daisy D’s patterned paper. Oh so fun! I adore the few Stampendous stamps I own, and my favorite is these poppies. Jacksonbelle also got in a huge selection of Daisy D’s paper. I love it so much, I had to buy one of each. It was a real difficult choice deciding which ones to pick for this design, let me tell you! As always, I’m amazed at the different looks we have all achieved with a similar product. So fun! Make sure that you check out Lindsey, Michele & Trudee‘s blogs for their fabulous designs!